Drew Angerer/Getty ImagesU.S. President Donald Trump talks with White House Senior Advisor to the President Jared Kushner. Special Counsel Robert Mueller is investigating contacts between White House senior adviser Jared Kushner and foreign investors during the transition period, CNN reported. In particular, Mueller is investigating Kushner’s interactions with a Chinese government-linked company that was close to investing in the Kushner family’s real-estate property at 666 Fifth Avenue. The new focus beyond Russia, and on the finances of President Donald Trump’s family members, may cross a red line for Trump. Special counsel Robert Mueller’s office is investigating efforts by White House senior adviser Jared Kushner to raise foreign financing for his family’s company’s real-estate project during the presidential transition, CNN reported Monday. Kushner, who is also President Donald Trump’s son-in-law, has faced intense scrutiny over his attendance at a Trump Tower meeting with a Russian lawyer during the campaign; his conversations with the Russian ambassador to the US and the CEO of a sanctioned Russian bank during the transition; and irregularities with his application for security clearance. But CNN’s latest report indicates that Mueller may be moving his investigation beyond just Kushner’s Russia ties. 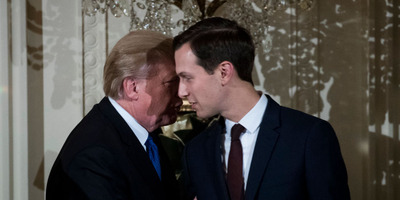 In particular, prosecutors have been raising questions about Kushner’s recent attempts to secure financing for an office building located at 666 Fifth Avenue in New York City, which Kushner Companies originally purchased in 2007. 666 Fifth Avenue has been a debt burden since its purchase – at the time of the original purchase, Kushner Companies put down $US50 million towards the property but borrowed $US1.75 billion in a sale that occurred shortly before the 2008 US financial crisis. During the presidential transition – when Kushner was the Trump campaign’s main contact for foreign governments and said he spoke with “over fifty contacts from over 15 countries” – he also allegedly spoke with Chinese investors to shore up financial backing for the building. That included executives of Anbang Insurance, a company that’s closely tied to the Chinese government – so much so, in fact, that Anbang’s attempt to purchase a hotel near a US naval base in San Diego in 2016 was reportedly called off after US national-security officials voiced their opposition to it. In addition to raising questions about Kushner’s conversations with potential Chinese investors, Mueller’s office has also asked about the senior adviser’s contacts with a Qatari investor about the embattled property. The special counsel’s team has not yet contacted Kushner Companies about the matter, CNN reported. Mueller’s focus on Kushner’s business dealings will likely anger the president, who has said in the past that the special counsel would be crossing “a red line” if he ventured into the Trump family’s finances. He later added that such a move by Mueller would be a “violation” of his mandate. When asked by The New York Times last year if he would fire Mueller for looking at his family’s finances, Trump was noncommittal. “I can’t answer that question because I don’t think it’s going to happen,” he said.